Never forget: maintaining glass pipes is the easiest tip for the best smoke! Maintaining glass pipes isn’t always as obvious as one might think. In fact, we can’t stress more the importance of maintaining glass pipes, if you are looking for the best smoking experience at least. It is a good idea to at least blow the ashes out of your pipe after every use or clear the bowl with a toothpick or pipe cleaner when glass pipes become dirty or filled with residue. It doesn’t hurt to clean the bowl with alcohol after each use removing the resin that interfere with the flavor of you legal herb. Running a thin pipe cleaner through the pipe on a regular basis is also highly recommended so that smoke can pass through the chamber of the pipe freely. A note for the novice: The pipe cleaners that are purchased from arts and craft stores are not the same as true pipe cleaners. Always purchase pipe cleaners from a reputable smoke shop to ensure you are getting quality cleaners specifically designed for this purpose. Occasionally you may need to wash your pipe out with warm soapy water. If the pipe has become too dirty for the soap and warm water to handle, just run the glass piece under hot water then fill it with salt and a smaller amount of water and shake, repeat until clean. 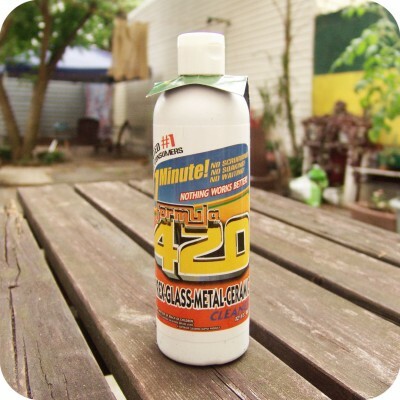 There are also several cleaning solutions available that are made specifically for maintaining glass pipes that are ok. We recommend Formula 420 Cleaner. You can also soak the piece in alcohol to break up the residue and then use salt and a pipe cleaner to clean. Careful using this method because leaving the glass piece in alcohol over night can dissolve the fuming from the inside of the glass. When maintaining glass pipes, always consider the fact that you will be smoking whatever it is you use unless it is thoroughly cleaned out. Maintaining glass pipes is important for a clean hit without compromising flavor. Glass pipes are ready to use immediately, as opposed to wood pipes which often need to be “broken in” before the smoke becomes enjoyable, and they do not get as hot as clay pipes during use. They are easy to clean, easy to use, and are attractive to look at. Before buying a glass pipe for the first time, it is a good idea to inspect the piece closely. Make sure that there are no cracks or chips and that the bottom has a flat spot to keep the pipe from rolling. Even a seemingly insignificant chip can cut your lip, damage to the glass near the bowl can quickly worsen and cracks will eventually worsen and spread and probably disable the piece. If your bowl is intact but it has a crack you can still try repairing it but this is tricky to do and could make the problem worse. Put your pipe over the burner on a gas stove top. Let the crack heat up until it is red making sure to heat the area evenly as possible. After about ten minutes the crack should either disappear or become smaller. When you are satisfied with the repair cool the glass piece very slowly so it does not crack. This is the trickiest part and you will have a good chance of breaking the piece so remember to let it cool slowly. If it is not cooled slowly enough the crack will spread and your glass smoking piece will be ruined. For the easiest and no-hassle clean, buy our favorite product.